People typically have their teeth whitened to improve their appearance and boost their self-confidence. 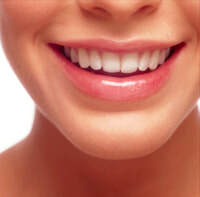 Whiter teeth are associated with beauty and a healthy lifestyle. When people have a brighter smile, they tend to smile more often and are less self-conscious. In addition, a whiter smile tends to minimize the appearance of facial wrinkles, giving way to a more youthful and energetic appearance. Finally, a whiter smile gives people to whom you are speaking a place to focus on and gives you a friendlier appearance. Teeth whitening is one of the most effective cosmetic procedures, if it's done properly by a dental professional. Doing it right means using proper whitening agents and appropriate whitening accelerators. The most practical accelerator is an LED lamp emitting cold blue light with a wavelength of around 465 nanometers, this wavelength of light is ideal for activating the whitening agents and accelerating the whitening process. Patients should try to floss their teeth at least once two to three days in advance of their sessions, and brush well beforehand. After getting comfy in one of our recliners, a mouth guard is gently fit into your mouth to give us clear access and a great view of your teeth. At this point we assess the coloration of your teeth to determine problem areas and coloration, and decide on the best plan to get your teeth as white and evenly colored as they can be. Then our custom whitening agents are carefully applied to your teeth and a cold blue light is placed directly in front of the customer’s exposed teeth and run for 15-20 minutes per treatment. I typically perform 2 to 4 treatments on each customer during the same visit, and the more treatments you perform the better results you obtain. How much whiter will your teeth be? It really depends on a multitude of factors, including how stained the teeth were before the whitening, what kind of staining agent caused most of the coloration, how well the person’s enamel reacts to peroxide and the number of treatments performed. Most people will get impressive results while a few will get less dramatic results, but 99% of people are very satisfied with the results they obtain with our system. Teeth whitening is one of the most effective and affordable ways to look younger, healthier and enhance your appearance! Get our full "Premium Infinite-Smile Package" which includes a TWO HOUR Cosmetic Teeth Whitening treatment, our advanced Re-Hydration/ReMineralization and sensitivity treatment, "Forever White" Touch Up after-care whitening stick, our Infinite-Smile Microfoaming Toothpaste (takes the place of mouthwash AND toothpaste and lasts for up to 4 mos) all for only $325 to kick your stunning new smile into HIGH GEAR! And for a limited time, our Valentine's Special includes a one hour whitening session and a "Forever White" Touch Up after-care whitening stick for only $175! Don't hesitate to inquire about our Group Rates and Seasonal Specials for amazing deals! Teeth whitening also makes a FABULOUS gift for anyone! Gift certificates available upon request.